Your kids’ toys are literally everywhere! You can’t find the clothes you are looking for. Unorganized chaos surrounds the kids’ bedroom on a daily basis. You had enough, something needs to happen! 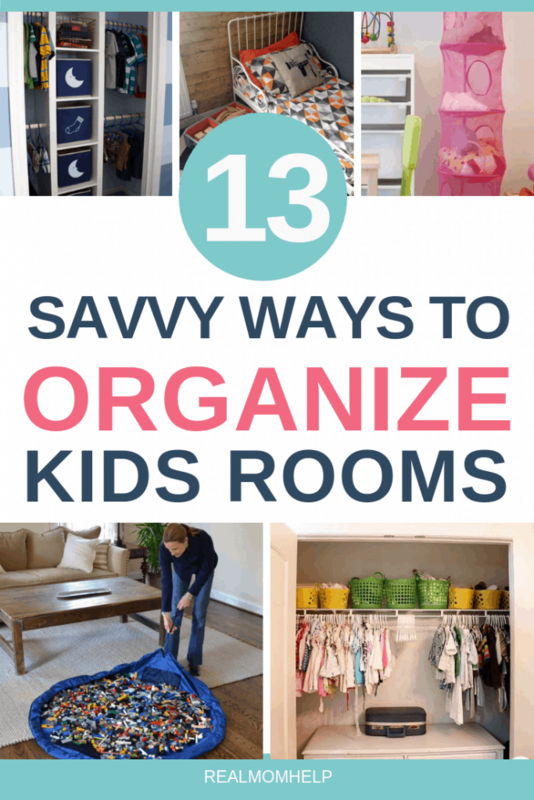 The solution is to effectively organize kids rooms. 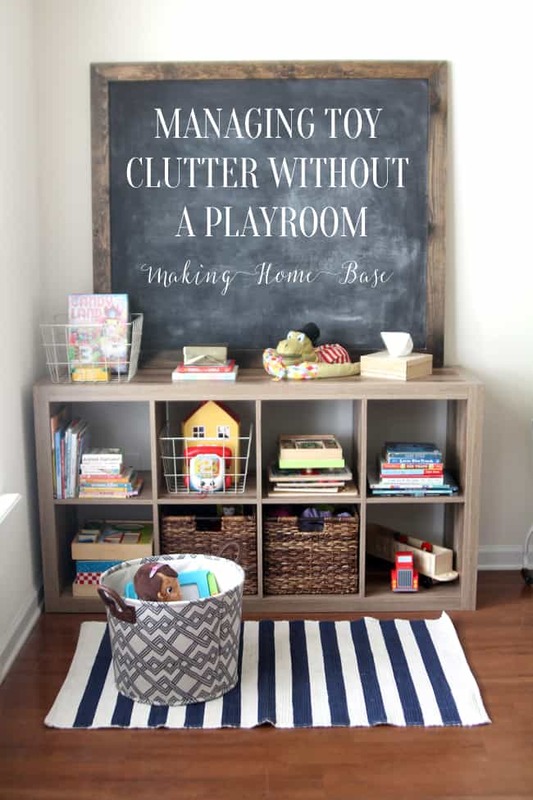 This may sound time-consuming at first, but I promise, organizing a child’s bedroom is an investment that will pay off over and over again. You do need to keep up with the organization method you chose, so cleaning up and putting things where they belong needs to be on the daily to-do list. But it is much easier to this when you have a place for everything and you can clearly see through what you own. 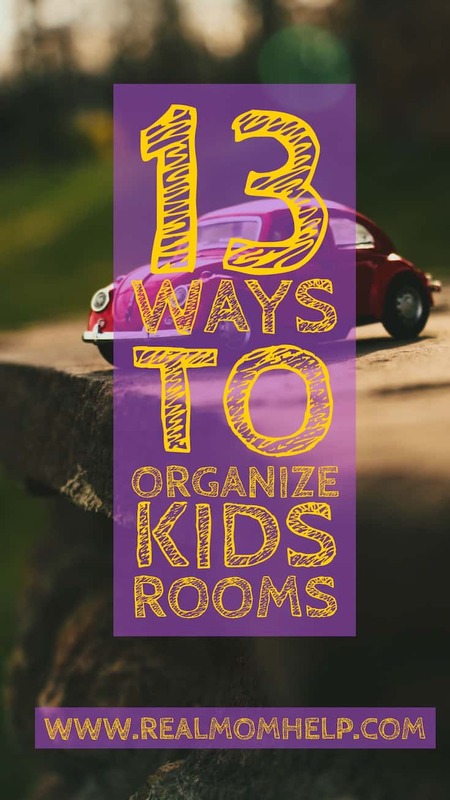 In this article, I will show you what methods work well in any home to organize kids bedrooms. Because I have already researched options for you, all you gotta do is pick one and get busy! 1. Making Homebase says, don’t worry if you have no playroom. Sort toys into bins and store them in a cube organizer! 2. 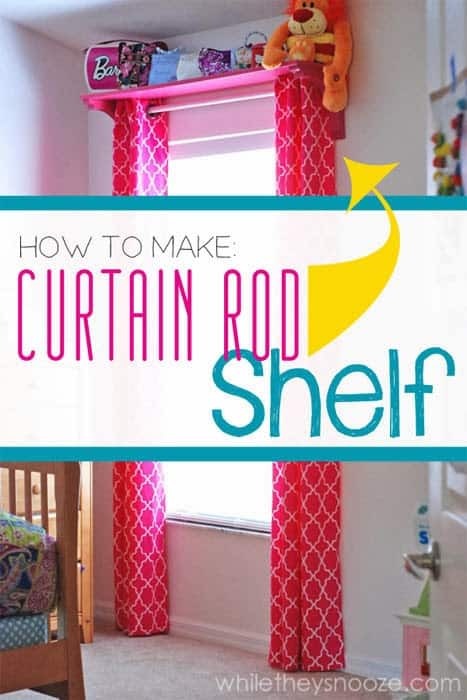 While They Snooze’s tutorial on how to make a curtain rod shelf is a super smart way to use space in a room that otherwise would remain empty. 3. 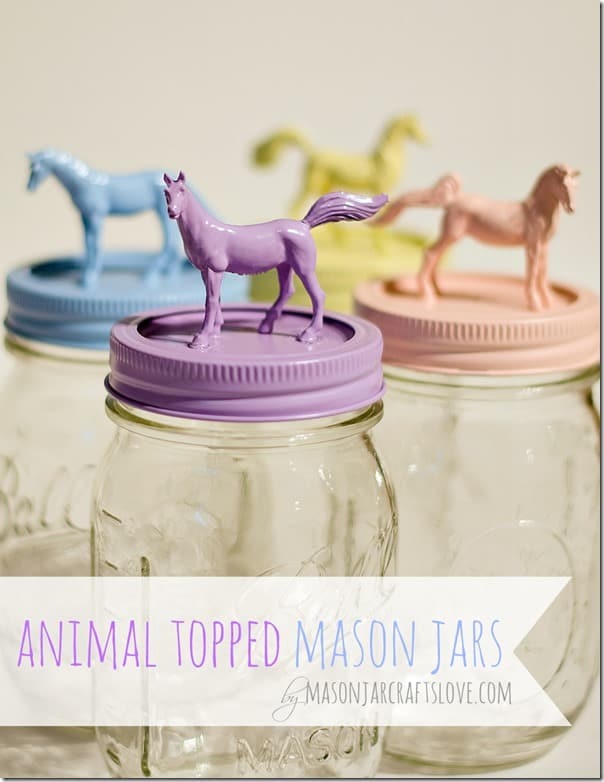 Found on Mason Jar Crafts Love, these animal-topped jars are a great way to organize small items or craft supplies, pens, pencils, etc. 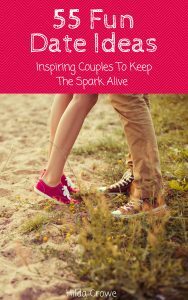 All you need is paint, glue, small animals, and mason jars. 4. 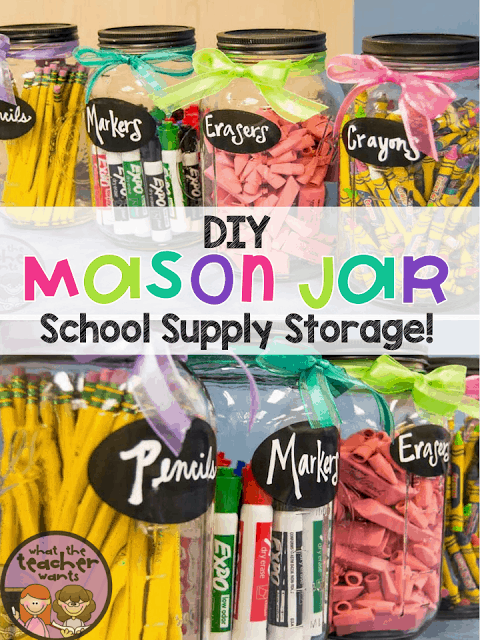 What The Teacher Wants’ idea of mason jars is a bit simpler than the one above, so if you don’t feel crafty, try using mason jars, chalkboard labels, chalkboard marker and ribbons. 5. Lynnae McCoy suggests using open, stackable bins for organizing toys. 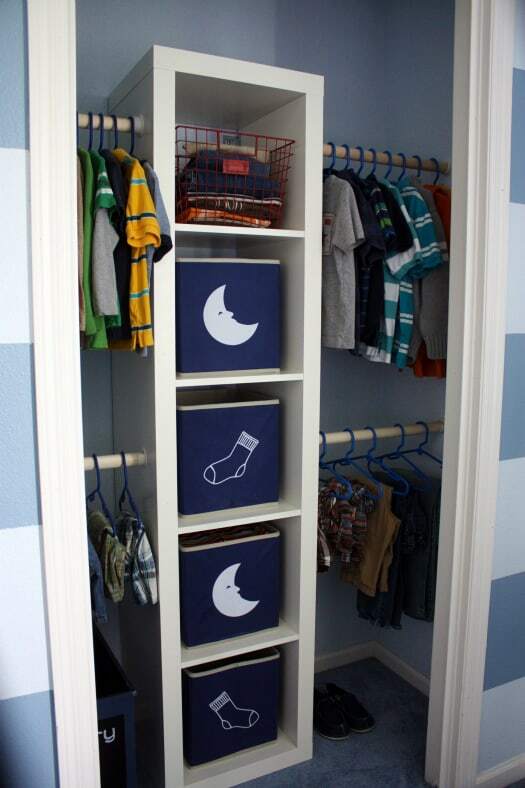 This lets children see what they have on hand while still keeping the room clutter-free. These bins can be found pretty much anywhere, but here’s a nice one from Amazon. 6. Try The Keeper Of The Cheerio’s genius stuffed animal jail. Find the tutorial on her page. 7. 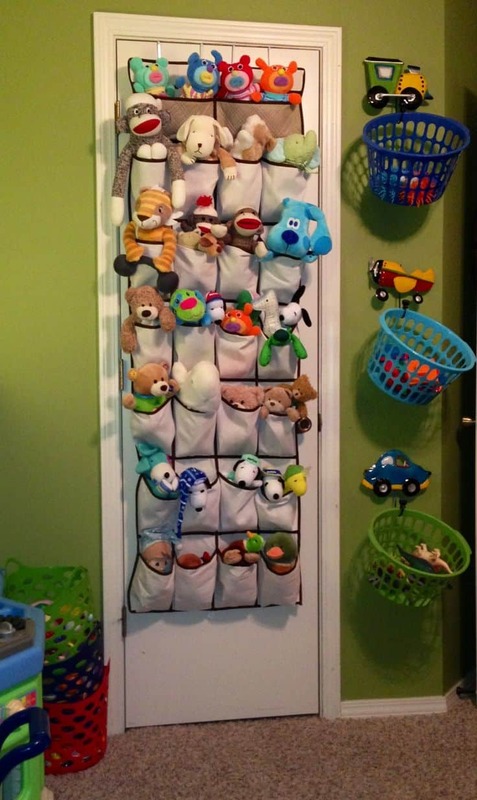 Found on mommo-design, use an over the door shoe organizer, hooks and a few laundry baskets to store your child’s favorites. 8. IKEA’s Hanging Storage Baskets are also a great way to keep plush animals or other toys off the floor. 9. 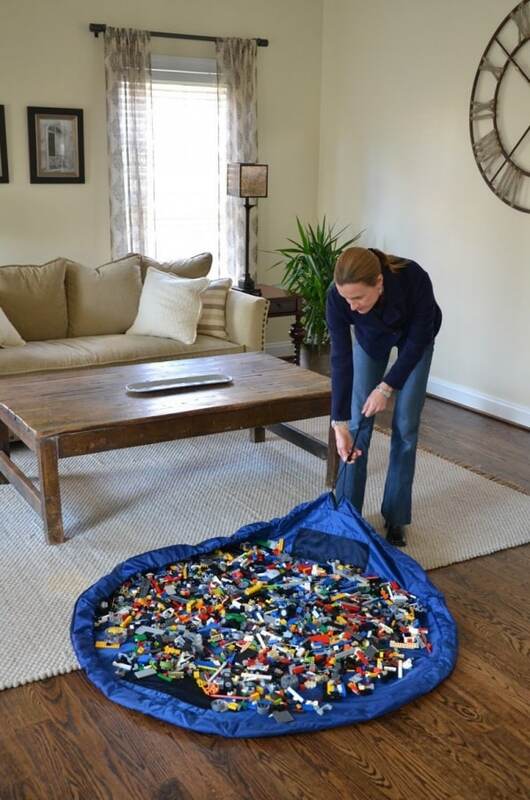 With this awesome Storage Bag and Play Mat, you can forever say goodbye to Lego’s everywhere. This is on my wishlist too! 10. 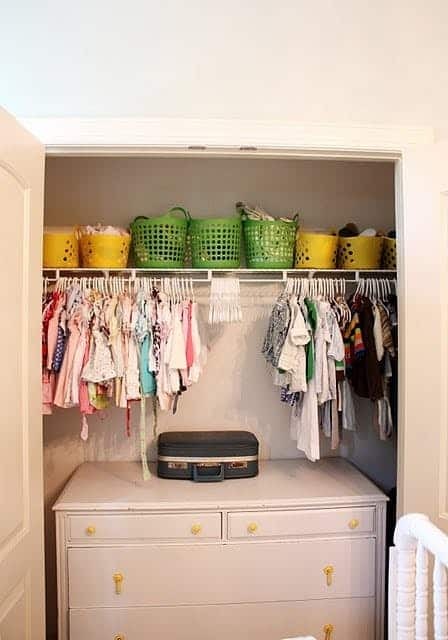 Found on Apartment Therapy, there’s an idea that you could create more space in your child’s room by moving the dresser to the closet. Then all you do is hang up the clothes above it and store smaller or out-of-season items in bins on the very top shelf. 11. You can definitely use a cube storage organizer and labeled bins to store clothes, as seen here. I love these no-slip hangers because they keep shirts and dresses from falling off. 12. Don’t underestimate under the bed storage options. 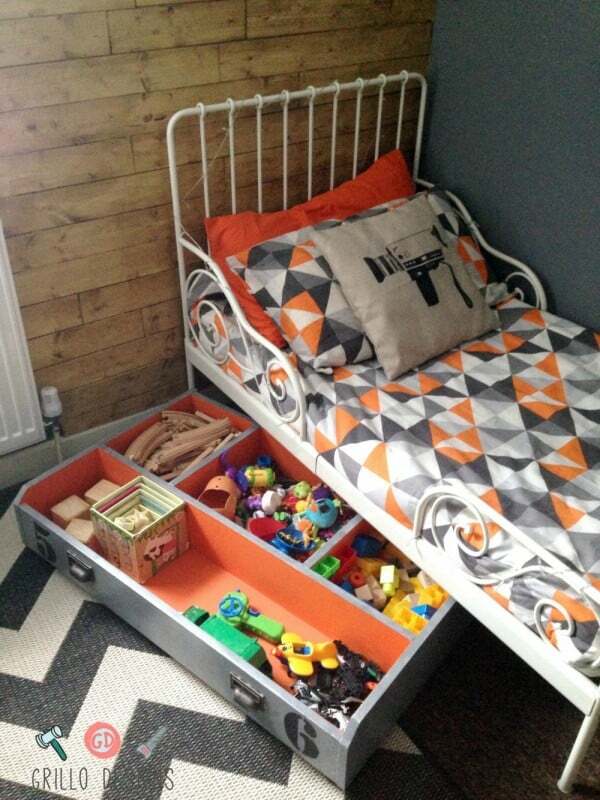 Grillo-Designs turns an Ikea drawer into an awesome under bed storage container. But you don’t even have to go fancy like that, just use these long bins and you’re set! 13. I love this way of organizing books on IKEA shelves. I think they look pretty even without painting, but if you’d like to customize the color, they can easily be spray-painted. You can store several books or just display a few favorites. You can store several books or just display a few favorites. 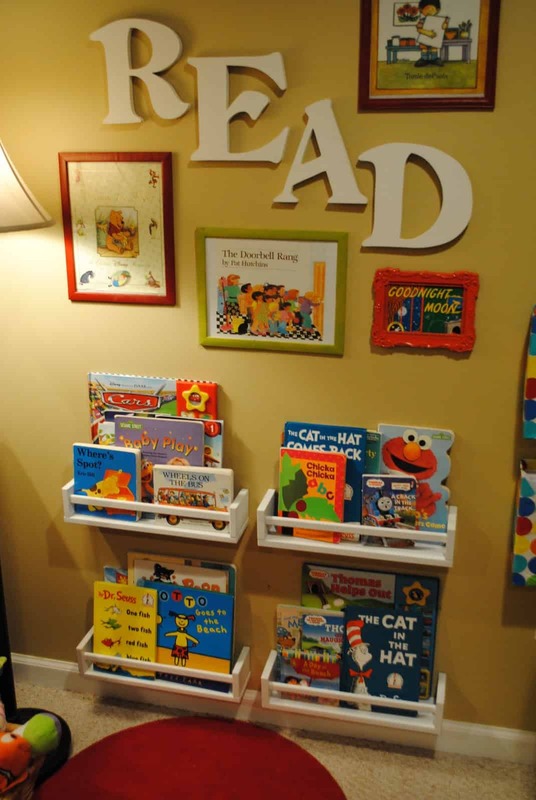 Since you determine the height of the shelf on the wall, even the littlest ones can reach their books while keeping nicer books out of touch. And there you have it! 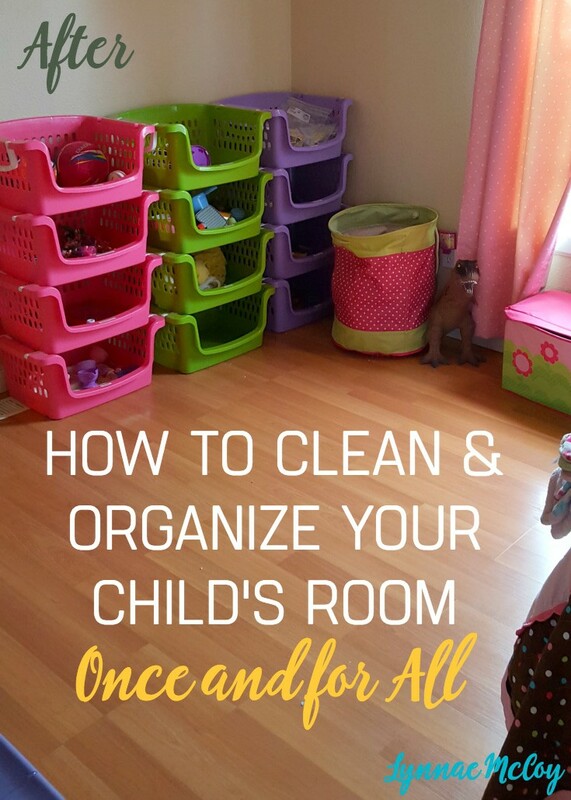 13 ways to quickly and effectively organize your kids’ room! Which one was your favorite? What else do you use to organize?